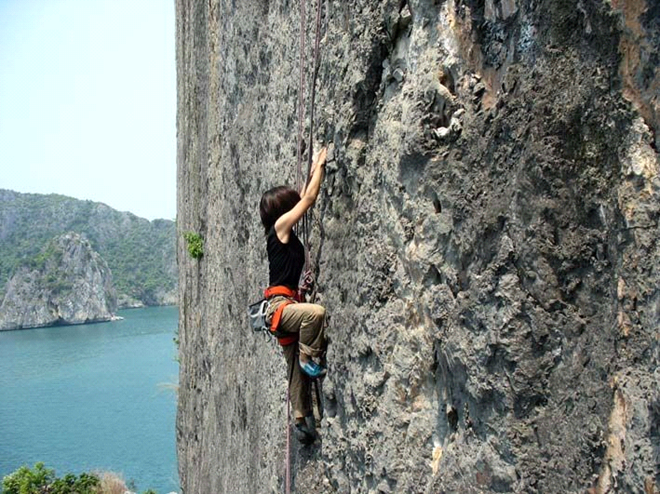 Supposing that young people in Hanoi are allowed to choose, they will choose places include: Dong Van Karst Plateau in Ha Giang Province, Moc Chau Farm, Sapa Town, Co To and Quan Lan Island. They don’t want to come back Ha Long bay and Cat Ba. The reason is these places have services and tours that are very expensive. Sometimes, they feel it’s no worth spending money on services quality in here, although there are many landscapes very beautiful. From my point of view, I still want to come back Cat Ba Town as I want to come back Co To and Quan Lan Island too. If prices are a bit cheaper and services quality are a bit better, I believe that Cat Ba will be chosen to come back by many citizens in Hanoi. However, I realize that almost tourists who arrive at Hanoi, then they want to reach 3 places: Sapa (to go up to the forest), Ha Long bay and Cat Ba Island and National Park (to go down to the sea). Cat Ba town, which has Lan Hạ bay, this place is the same as Ha Long bay (because both of them have a general continental shelf and the marine geology of them are the same). However, the distance from Hanoi to Cat Ba is closer so much than the distance from Hanoi to Ha Long. 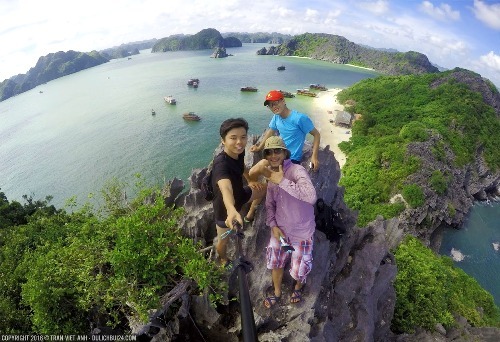 What are the reasons for many foreigners want to arrive in Cat Ba Island Vietnam? I don’t know what your hobbies are, whether you want to come Cat Ba and the reason what you want to come this place. However, some foreigners come from USA, Germany and France who have told me that they want to come Cat Ba because there are many small seasides that are beautiful, seawater is very clean. 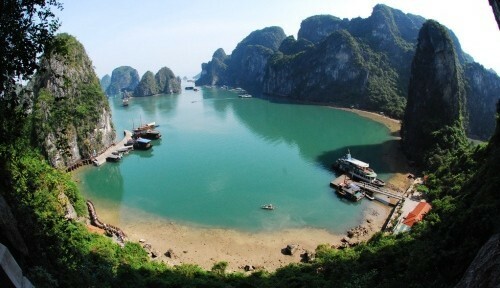 I want to tell you the thing that Cat Ba island locate very distant with mainland (Hai Phong city), it takes you about 3 hours to reach this place (contain both of driving car or motorbike and taking the ferry), Cat Ba island aren’t under any rivers that fall alluvia to the sea influence, so the seawater is very crystal clear. The important thing, in this island, there are many small waists of mountain that form airtight and safe beaches. The sand on the island is very white, smooth and clean. About the price, perhaps it is expensive with me but it may be cheap with you. So, you should go to Cat Ba island and town. 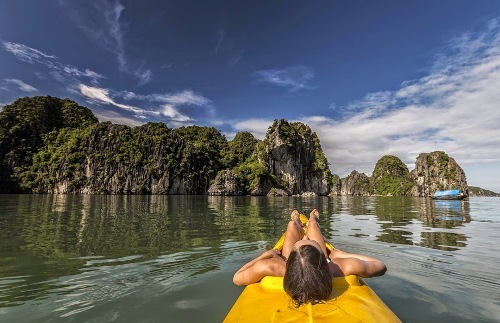 You can book seats for a tour from Hanoi to Cat Ba. The streets locate in the centre of Hanoi Old Quarter, such as Ta Hien, Ma May, Hang Bac, Luong Ngoc Quyen… have many travel service business companies that ready organize tours in order to bring you from Hanoi to Cat Ba. 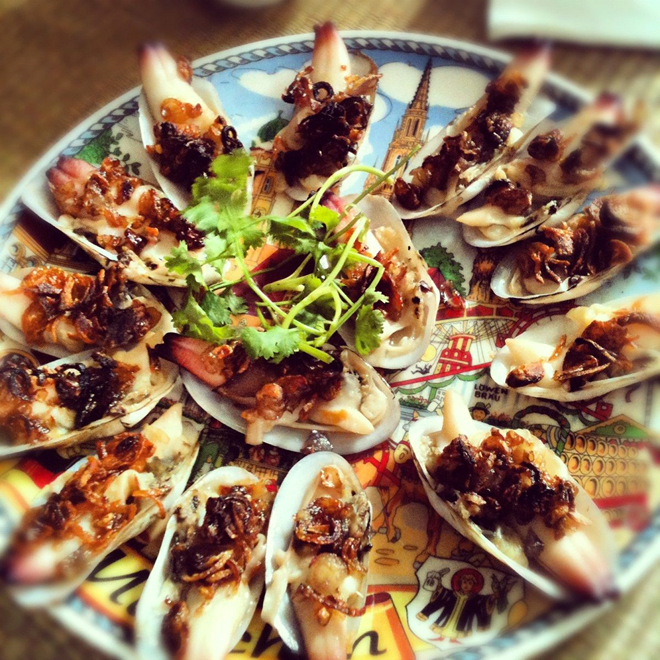 If you want to go to Cat Ba by motorbike, you will reduce a considerable amount of price. The price of room in hotel in Cat Ba is just expensive in summers (it is travel season in Vietnam), that contains May, June and July. 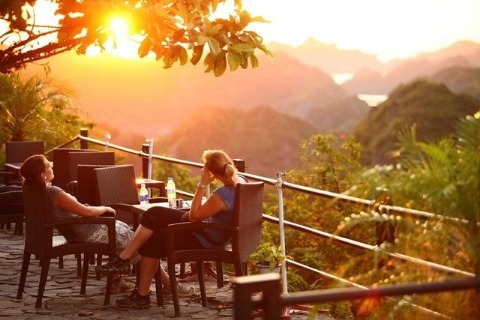 In winters (in November, December, January and February), nobody in Hanoi wants to go to Cat Ba, so the prices of room is very cheap, it discounts by half. 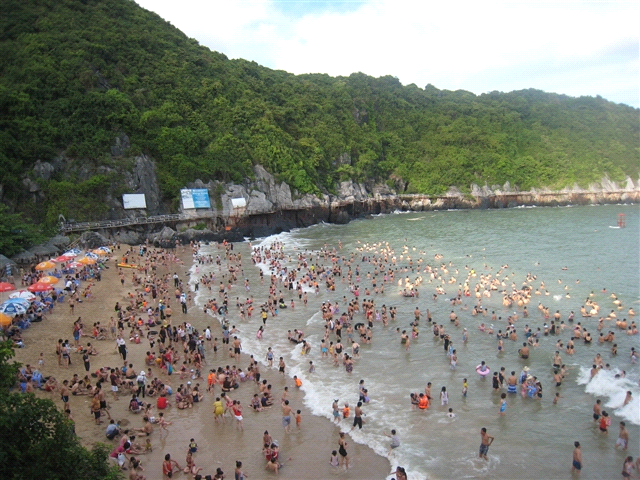 I don’t know what season you want to travel to Cat Ba Island Vietnam, but at Cat Ba town, I saw many foreigners, such as USA, British, Australian, Spanish… who come here in both of summer and winter season. 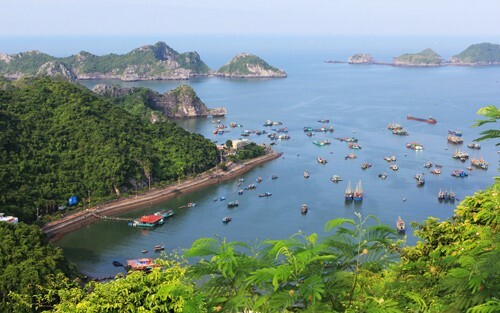 From Cat Ba Island, you can combine with discovery Ha Long or opposite, from Ha Long, let’s go to Cat Ba in Hai Phong city.